Google alert is one of the best and easy way to get topic, on what to post on your blog. Today am going to discuss with you everything you wish to know about this Google alert. But before then let me tell you what Google alert is all about. Google alert is designed to help people get information directly on their email. Ones you sign up with your gmail, you will start receiving information three times daily directly to your email. Now you are understood everything, am going to proceed on how to use the the information you received and create a topic. Many bloggers out their are using this great technique to create an awesome topic and as well write a good content. Google hate bloggers who engaged in copy and paste, ones Google find out that you are a victim they will sandbox your blog. so the best way to avoid copy and paste, is to create a new topic and use it and write a quality content on your blog. So bloggers are lazy, they couldn't make out time and write at least 1 thousand word content on their blog, all they know know very well is copy and paste. 1. Sandbox- Google have just upgraded, ones you violate their terms and conditions, you will be penalized. 2. Slow crawl/index- ones you are one of the lazy bloggers who copy content from other blogs, Google won't index your post fast. 3. It won't rank- some bloggers are copying content without knowing the disadvantages of it. Ones you copy content from another blog, it will never rank on Google, you hardly pull organic traffic. Let me no talk much, let me continue on what you are here for. 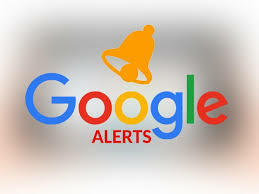 If you are yet to sign up for Google alert click here. receiving information from Google, depending on the one you choose, e.g Technology. Ones you choose Technology, you will start receiving information about technology on your email. Hence, you can select two categories at ones, e.g technology and news. Use the information you received from Google alert and create an awesome topic, and write a quality content on your blog. 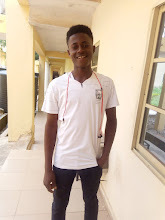 If you have any question concerning Google alert, kindly drop it on the comment section.